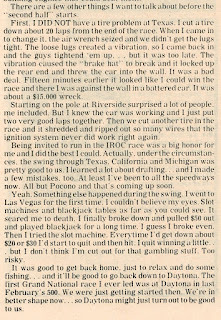 From the February 21, 1979 issue of Racing Wheels. 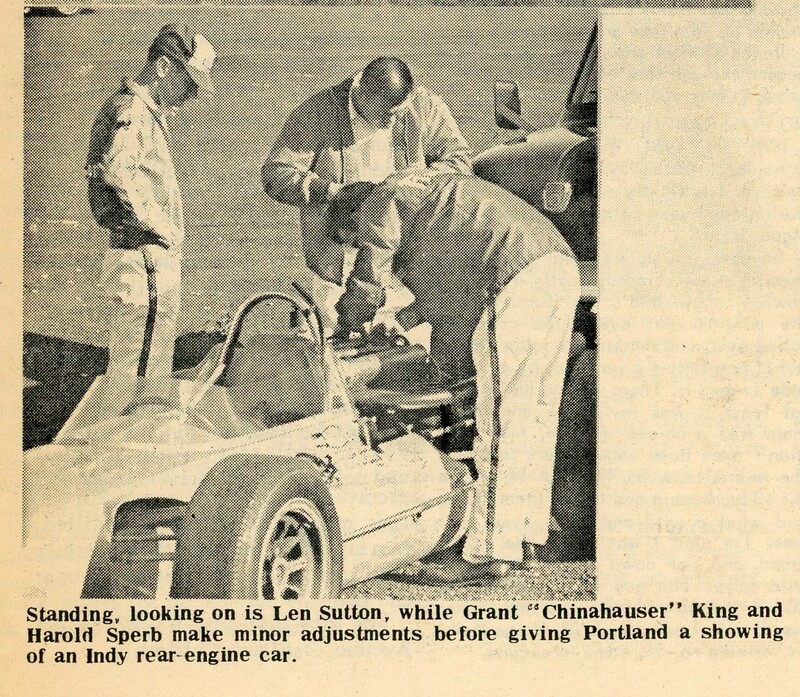 From the March 7, 1979 issue of Racing Wheels. 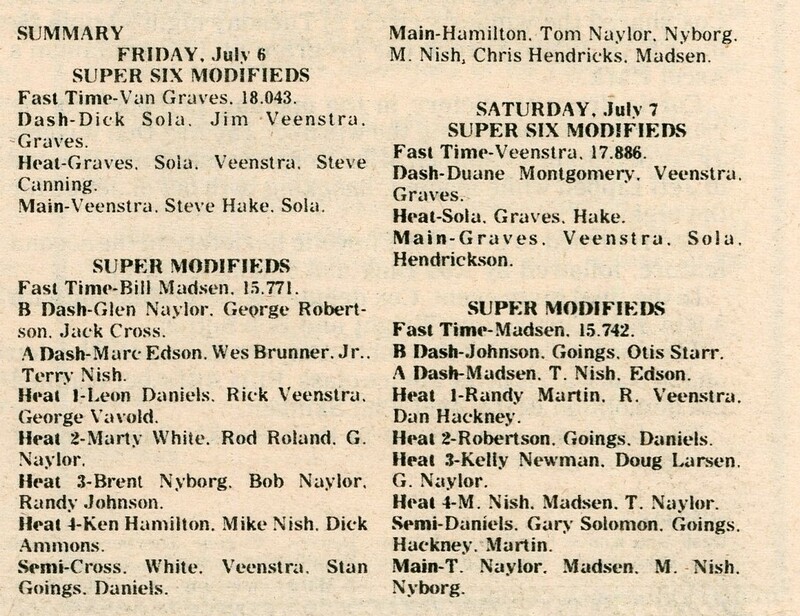 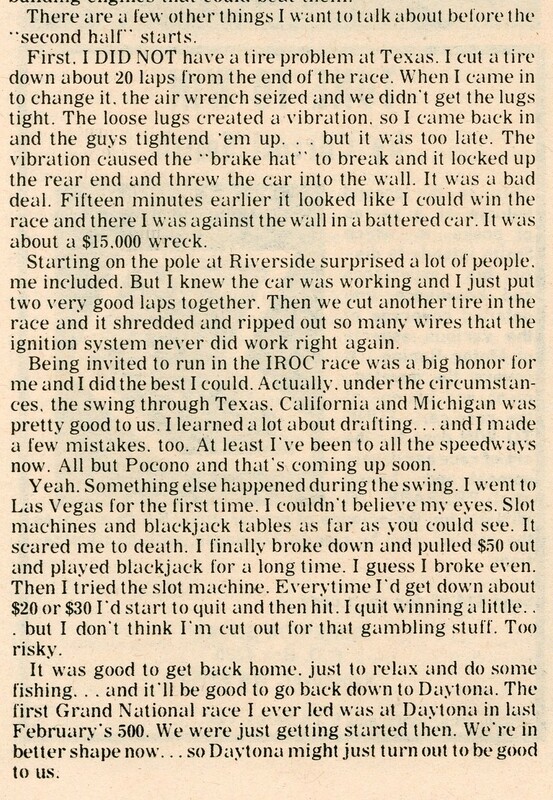 From the May 16, 1979 issue of Racing Wheels. 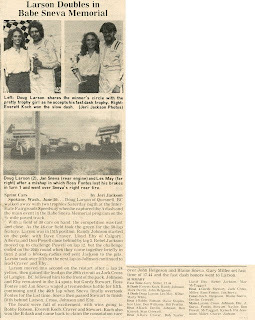 I will post more as I get to them. 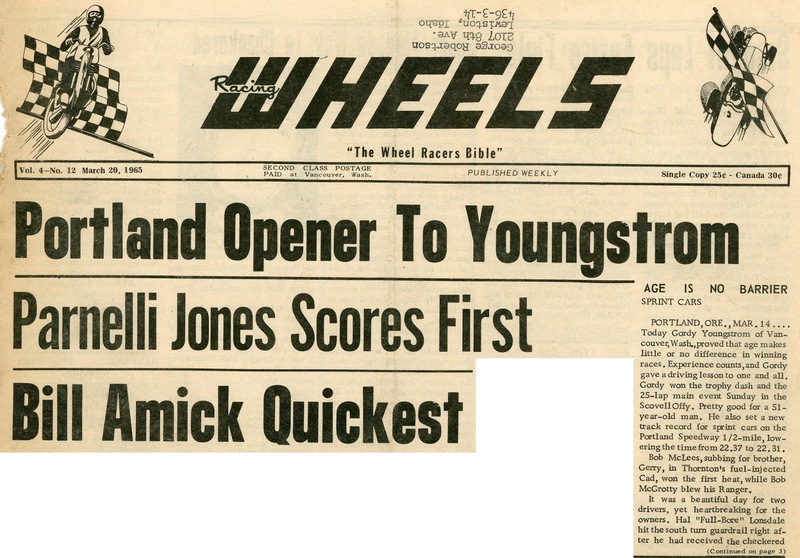 From the April 18, 1979 issue of Racing Wheels. 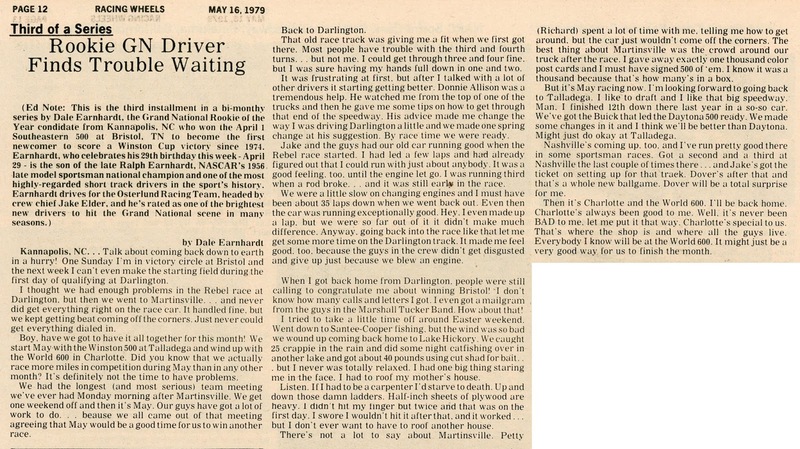 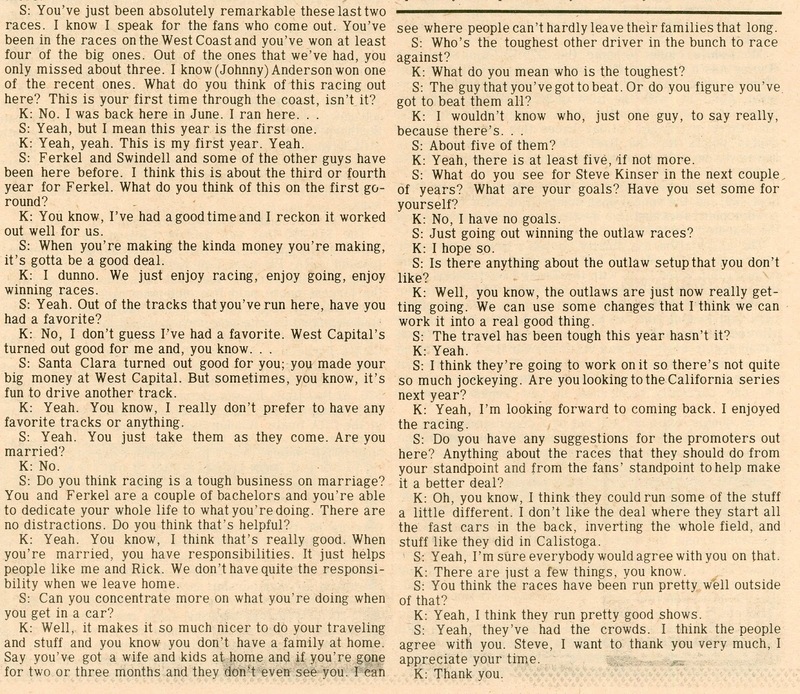 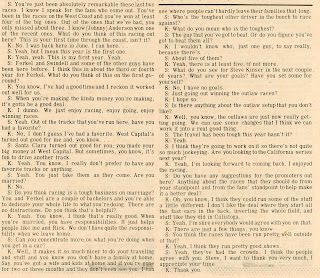 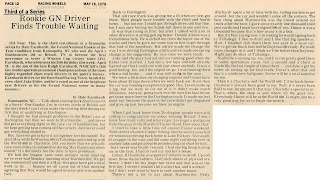 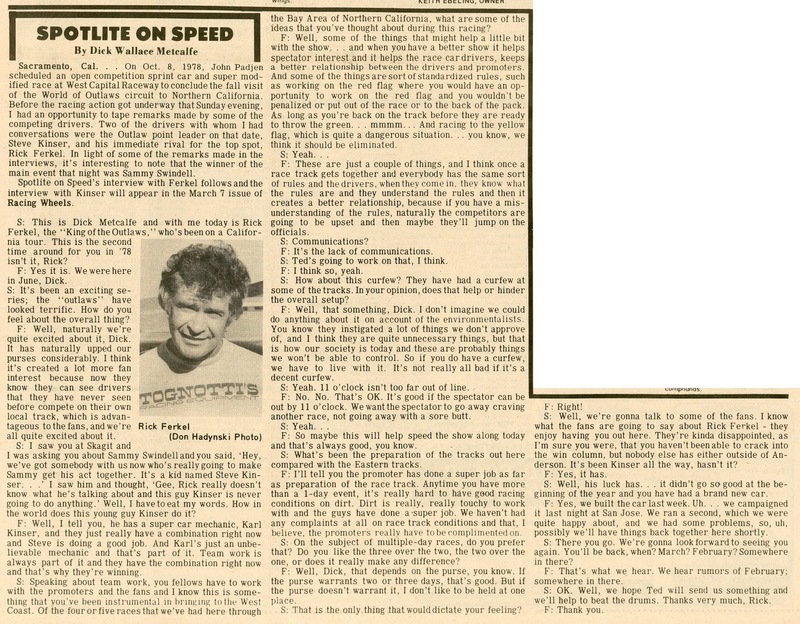 As a rookie, Dale Earnhardt wrote (or had someone write) a column about his rookie experience in Winston Cup racing. 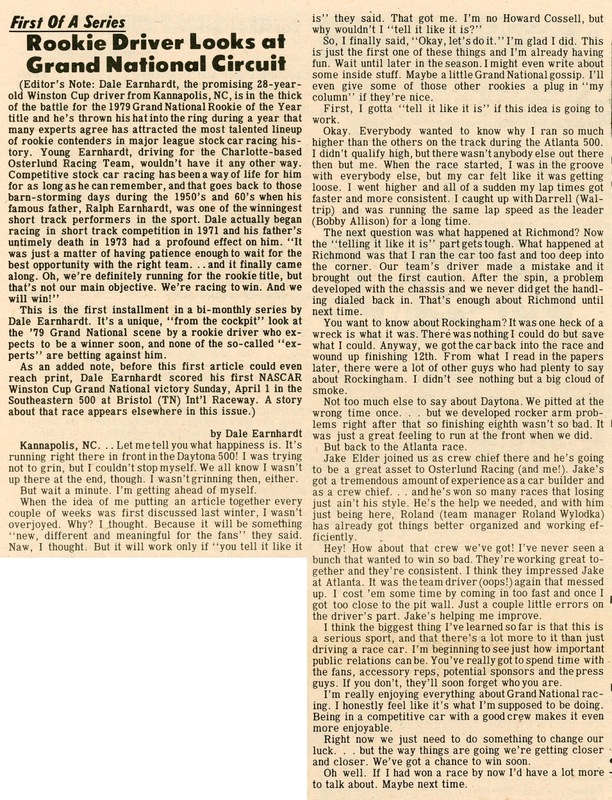 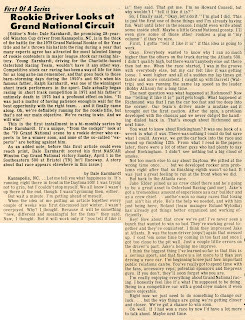 Seeing as Jimmie Johnson has tied both Earnhardt and Richard Petty for seven titles here's the first of a series of stories by/about Dale Earnhardt from 1979. 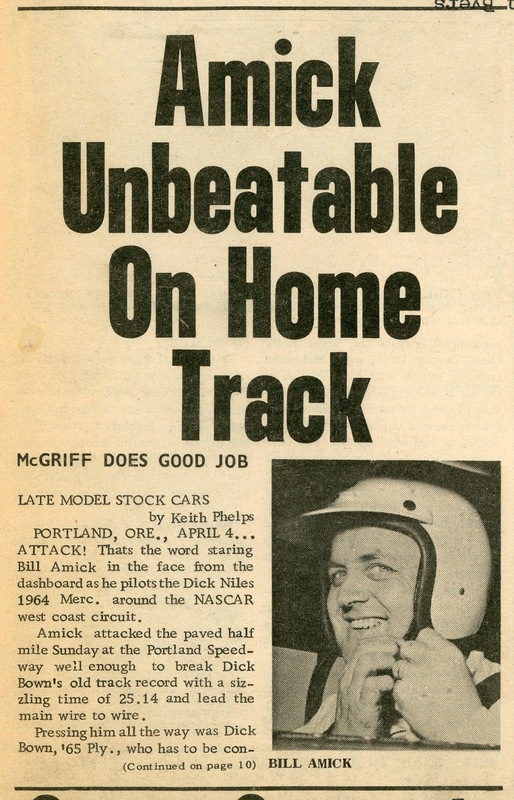 Bill Amick (future sports car champ and NASCAR official) wins with Hershel McGriff (back after an eleven year absence) finishes third. 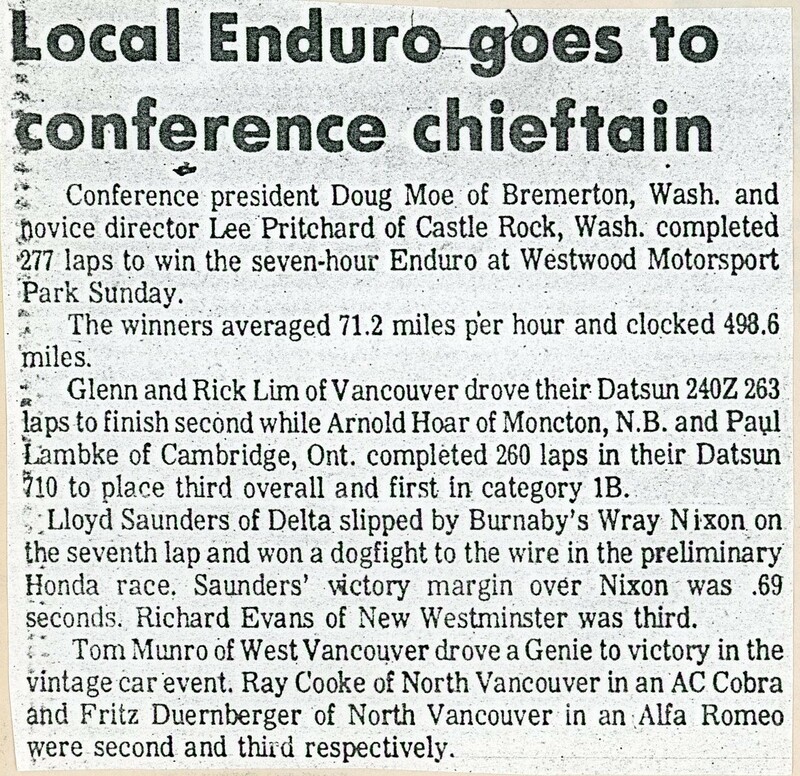 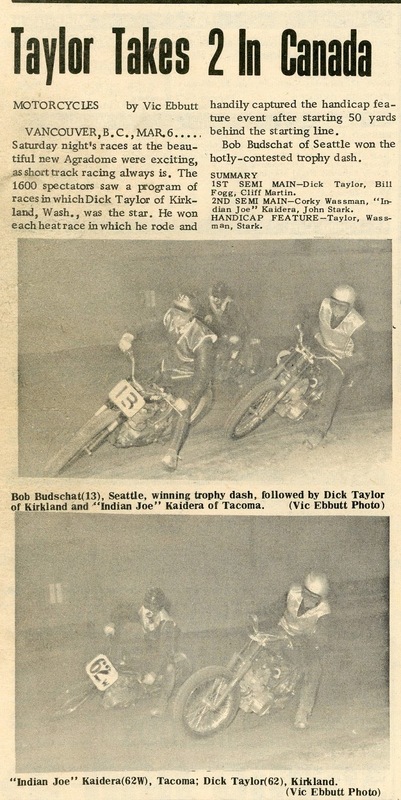 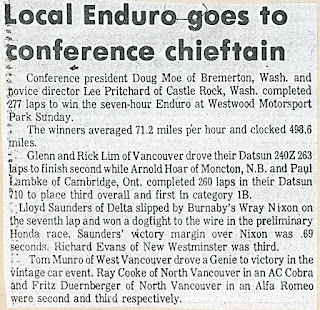 The story on the sprint car race at Evergreen Speedway. 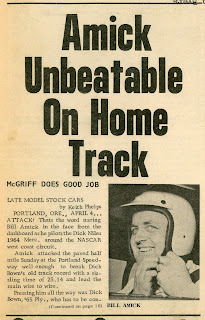 After an eleven year absence stock car driver Hershel McGriff announces his return to racing. 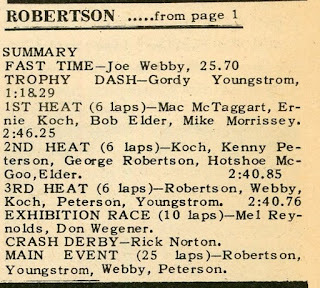 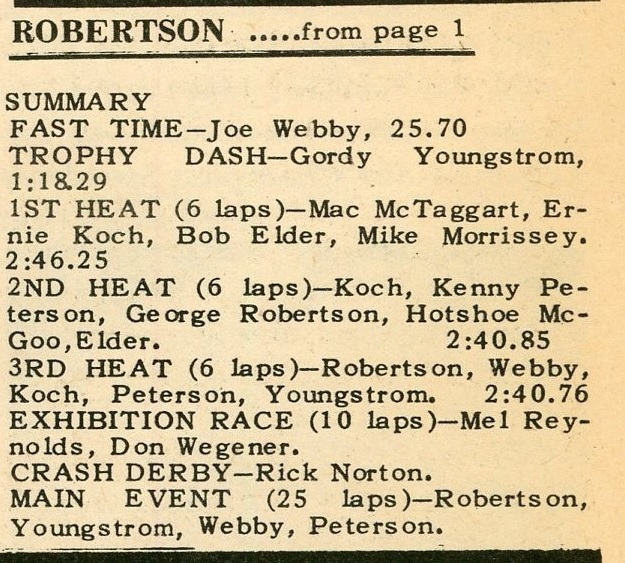 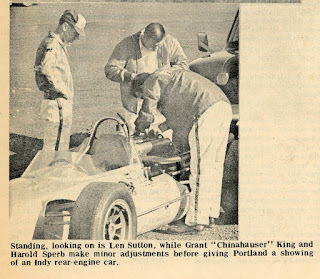 Ad and item for an upcoming sprint car race at Evergreen Speedway from the March 27, 1965 issue of Racing Wheels. 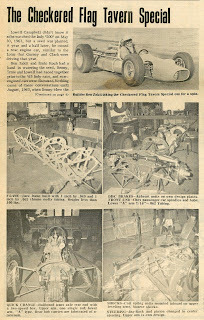 Had to chop up the page to get the pictures. 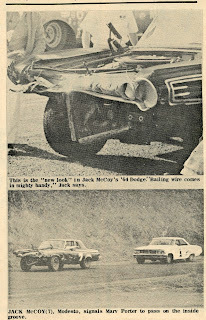 The Delicates, "Black and White Thunderbird""
From the March 20, 1965 issue of Racing Wheels. 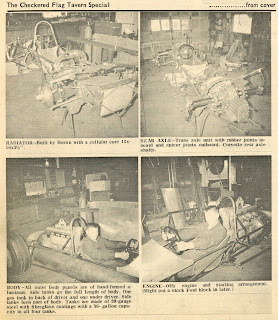 Inside the Agrodome, March 6, 1965. 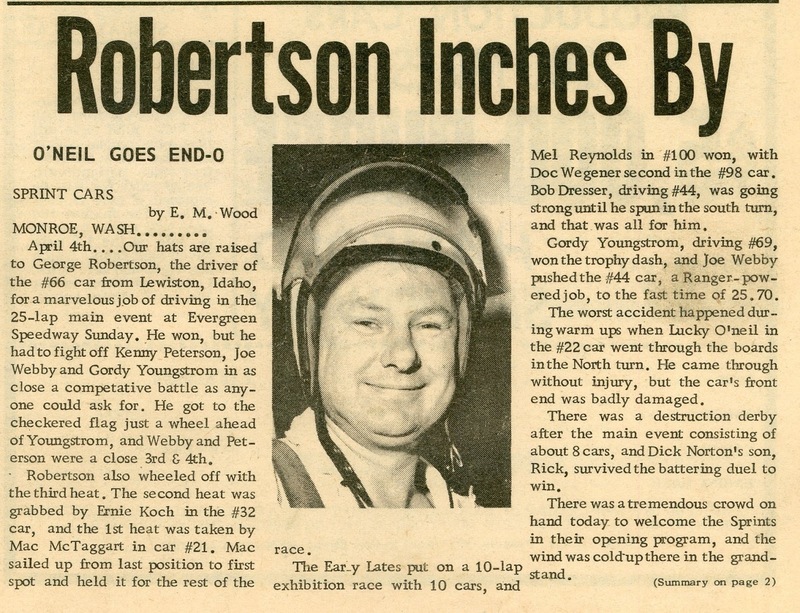 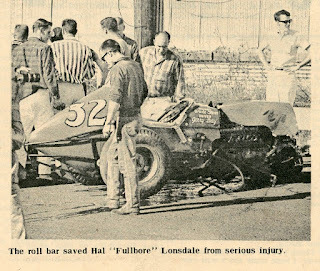 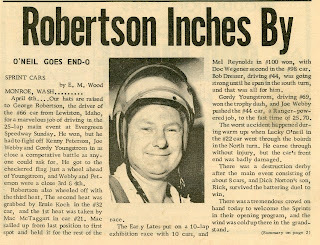 From the March 13, 1965 issue of Racing Wheels. 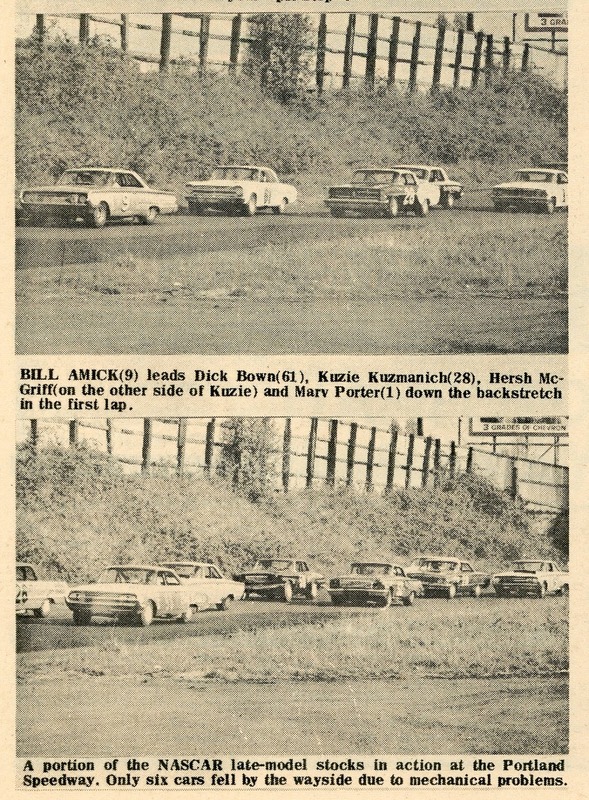 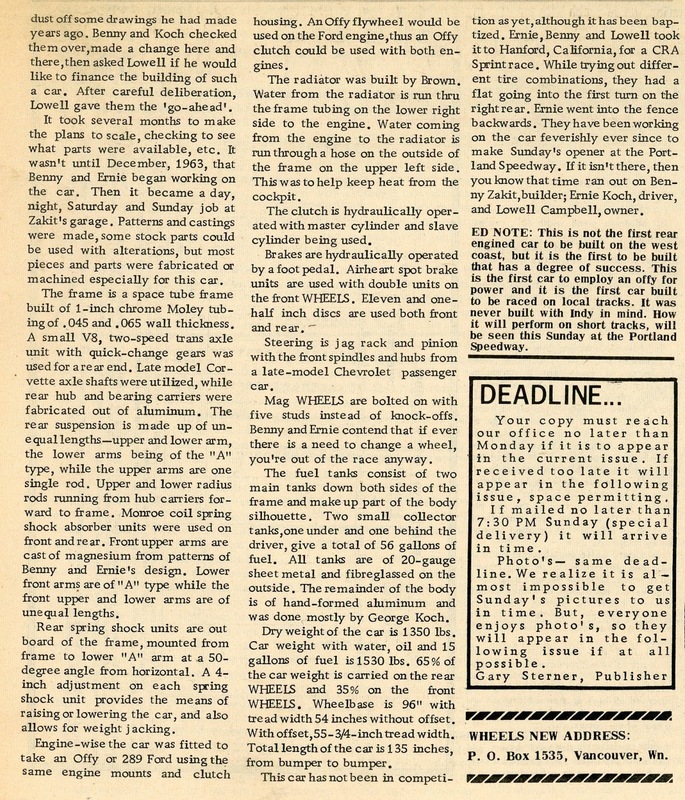 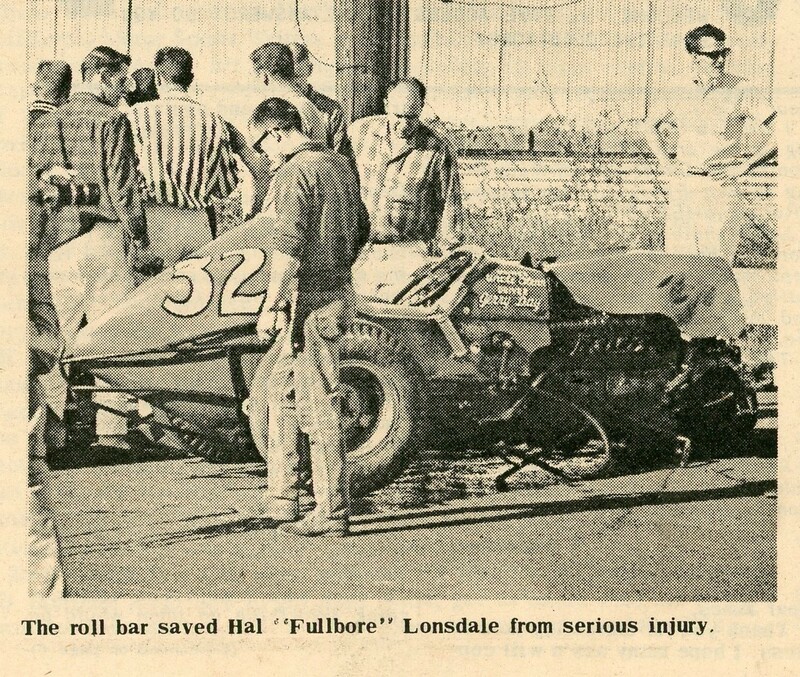 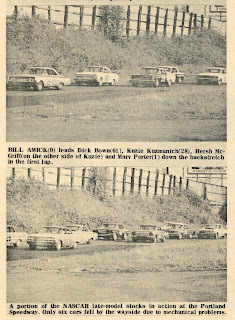 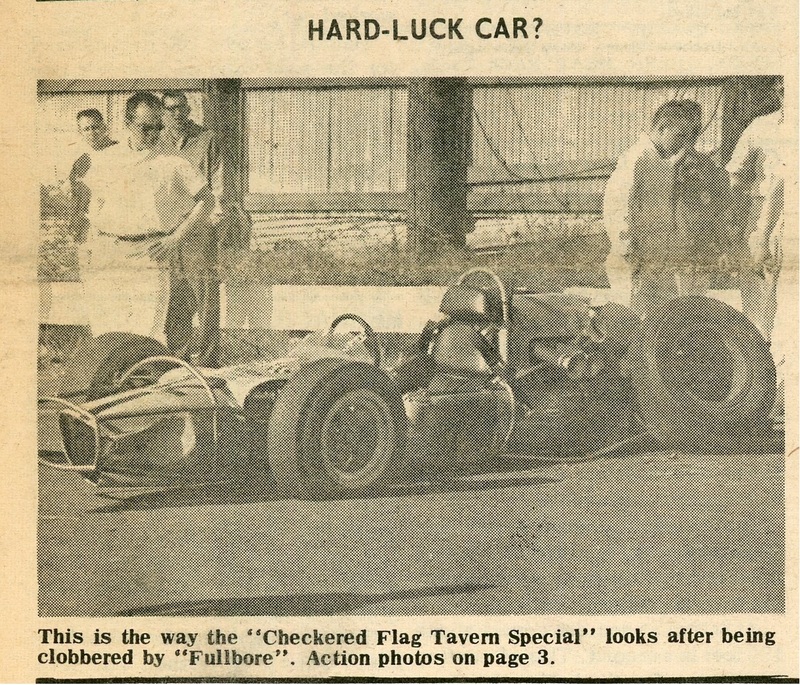 Again, from the March 13, 1965 issue of Racing Wheels. 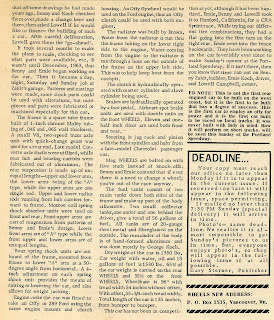 Facts and figures and rules and schedule for the 1965 CAMRA season. 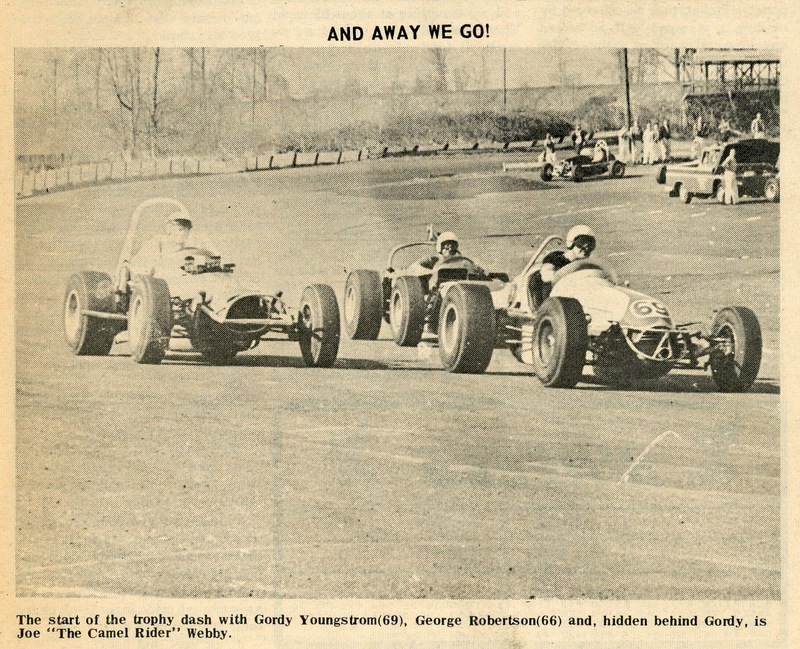 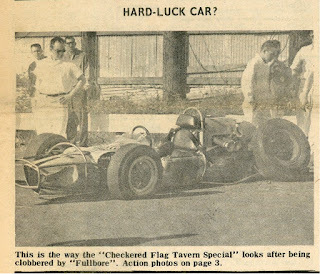 From the March 13, 1965 issue of Racing Wheels. 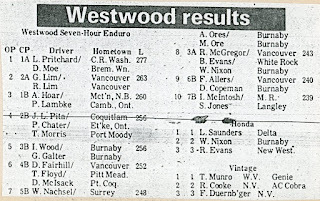 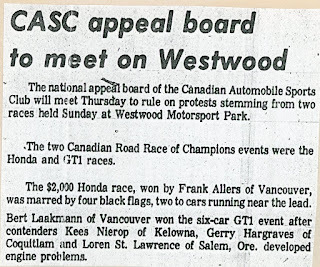 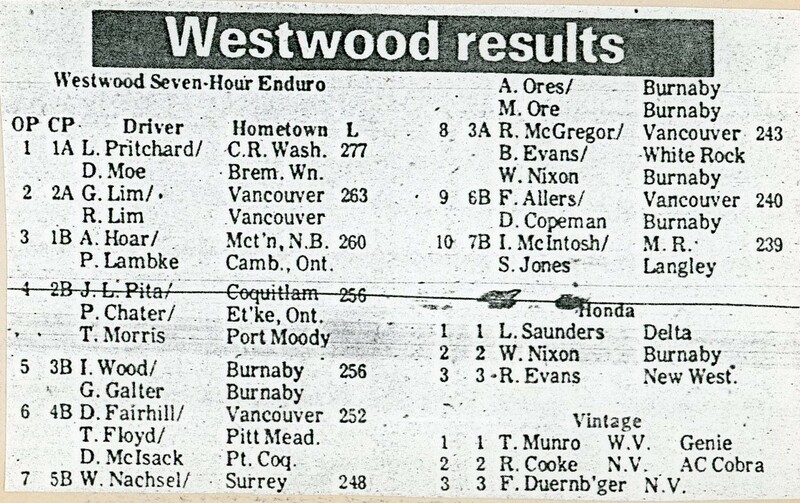 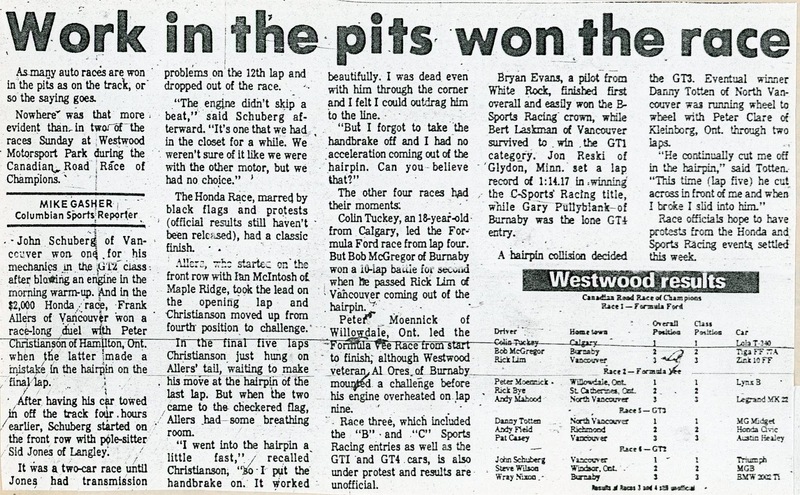 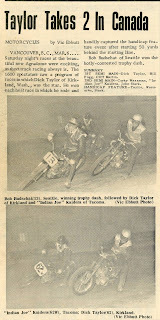 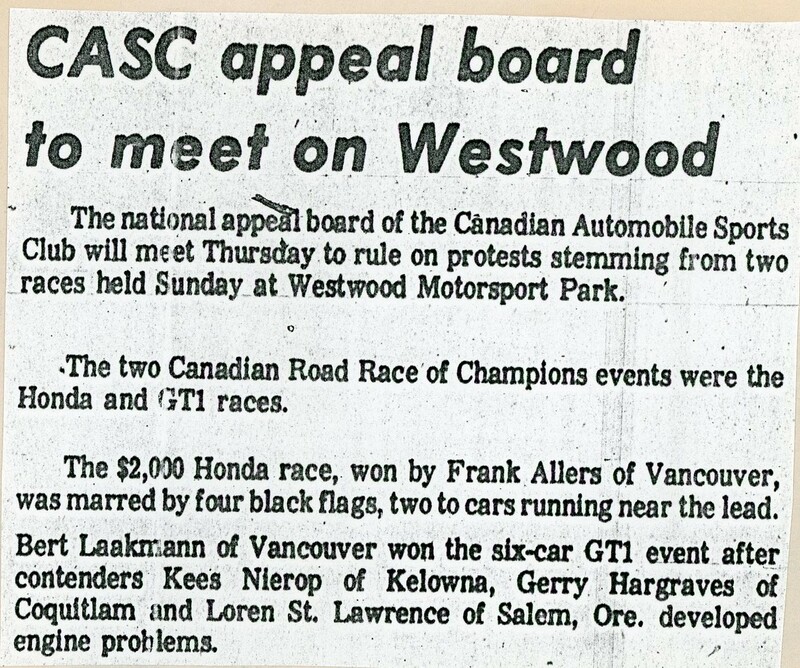 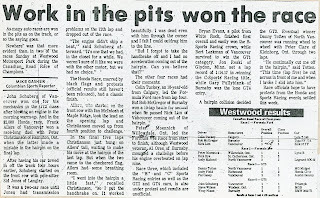 The season ending race at Westwood was the endurance race. 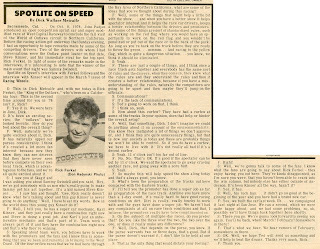 Gene Vincent and the Blue Caps, "Pink Thunderbird". 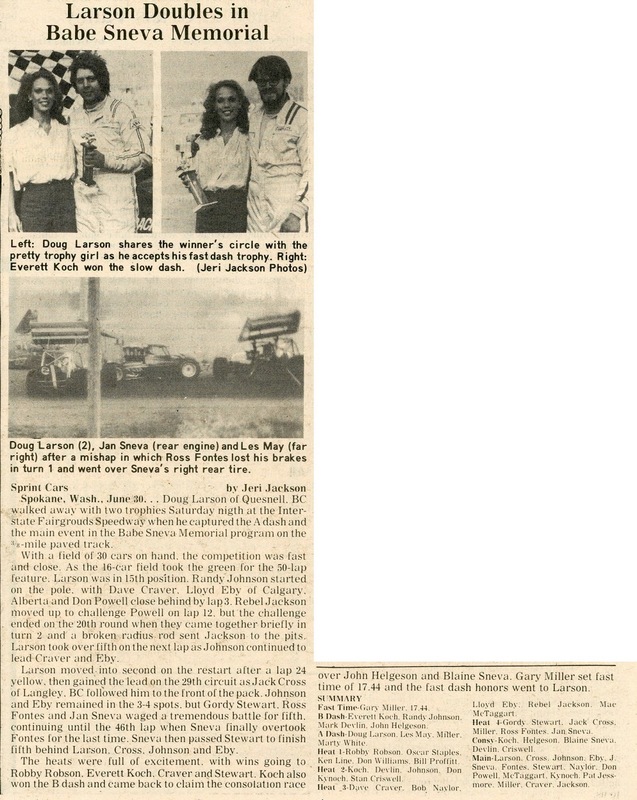 Two columns/news items by the Columbian newspaper's Martin Lewis on the closing of the original location and the opening of the new location (okay, maybe not opening, but it existed). 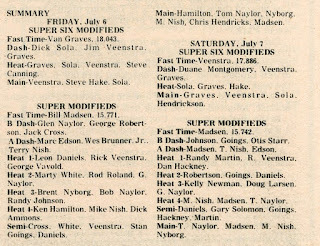 All in less than a month!